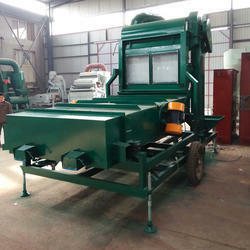 We are manufacturer and supplier of the GrainSeparator Cleaning Machine . Our company has established itself as a leading manufacturer and trader of superior quality Grain Cleaner. The machine can clean up to 1000 bushels per hour and the two-stage screening system ensures that most of the dockage is removed. The screenings are discharged onto the ground while cleaned grain is distributed through a built-in chute for convenient loading. The pulleys and adjustable mounts on the machine are designed to fit most 1-horsepower motors. Lightweight and compact, it is available with an optional intake auger for easy loading. Our Screen Separators have positive eccentric, high-speed, vibrating screening motion, which ensures accurate, high capacity and high quality separations. These screen separators are constructed from heavy guage steel for rigidity and long life and are available with pre-aspiration and post-aspiration options. We can provide two deck screen separators for simple pre-cleaning operations as well as three and four deck screen separators for fine cleaning operations. We have one of the largest range of screen separators in the industry with options from 0.25 tons/hr too 50 tons/hr, capacity. As an ace manufacturer and trader of Precision Air Classifiers, we have marked our name very strongly in the market. These products from our side are high precision two way separators working on the terminal velocity principle for the separation of aero-dynamically lighter material from heavier material. Lifting velocity is dependent on the shape, surface texture and density which affect the aerodynamic behavior of the product in the air stream. 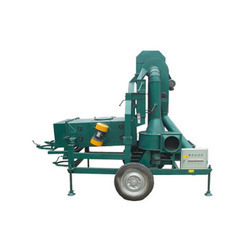 Ideal for separation of hulls, husks, fibres, shells from decorticated seeds. Extremely accurate separations with dehydrated vegetable products such as onions, cabbage, spinach etc. Highly efficient machines for the separation of lighter materials from heavier materials in MSW applications. Efficient, reliable and extremely user friendly machines. We are recognized as a successful manufacturers and traders of Impact Huller Mill. The machine seed onto the centre of a horizontally rotating impeller fitted with outward directing blade. The seed is accelerated outward along the blades and collides with the static wall where the hull is cracked and kernel and shell separated. 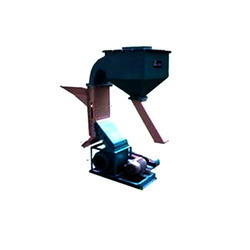 The mixture consisting of kernels, husks and unhulled product is discharged through an outlet hopper. The loose hulls, partially dehulled seed and some unhulled seed needs separating from dehulled kernels as next process. Manufacturing and trading of supreme quality Cardamom Shelling has helped us achieve a very high level of trust in the market. These products from our side are used primary for single stage fine grinding, regrinding, and as the second stage in two stage grinding circuits. According to the need of customers, these machines can be either wet or dry designs. These have been designed in standard sizes of the final products between 0.074 mm and 0.4 mm in diameter. To meet the specific requirement of clients, Avity Agrotech has developed a range of very efficient and economical machinery for the shelling of cardamom to give pure cardamom seed as the main product and the husk as a by product. 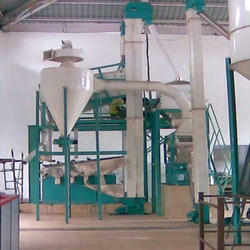 The raw material cardamom is screen cleaned, stones and heavy impurities are removed, then de-husked under controlled conditions, and the husk is separated from the kernels through use of screeners and air classifiers. Complete machinery and equipment for capacities up to 1000 kgs per hour can be supplied, installed and commissioned. 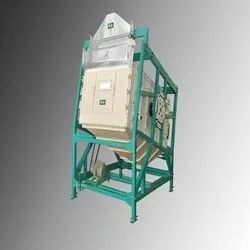 Excellence is our forte and manufacturing along with trading of Screen Pre Cleaner Equipment in the market from our side is a strong example of the same. These are made available to the customers on time and at feasible rates as well. The screenings are discharged onto the ground while cleaned grain is distributed through a built-in chute for convenient loading. The pulleys and adjustable mounts on the machine are designed to fit most 1-horsepower motors. 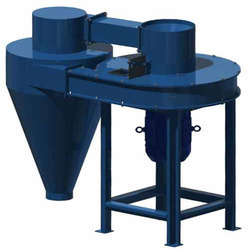 Lightweight and compact, it is available with an optional intake auger for easy loading. When used with the pre or post aspiration system, give excellent separation of light and air borne impurities. Advanced 4 bearing counter balancing drive system for silent & smooth running operation. Easy screen removal for multi-purpose usage. Efficient ball cleaning system to prevent choking / blinding of screens. Fully sealed for pollution free operations. We have achieved paramount success in manufacturing and trading of Seeds Cleaning and Classification Machinery in the market at present. The higher capacity model cleans up to 2500 bushels per hour, depending on moisture content and the amount of dockage. 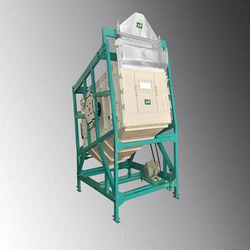 The two-stage screening process and large diameter drum ensures the trash and fines are thoroughly removed from grain. Powered by a 3-horsepower motor, the machine includes an optional removable intake auger and a hand-operated jack for in-field operation. Avity Agrotech And Industries manufactures a wide range of seeds cleaning, grading and classification machinery that is being successfully used in oilseeds, grains and cereals, seed spices, grams and pulses and other granular separations. For seed spices like cumin, coriander, fennel, fenugreek etc. We have successfully supplied and commissioned a 2 tph range of machinery and equipment in Jodhpur, Rajasthan. This ia a state of the art plant in that it is completely automated and mechanised and operated entirely through a centarlised master control panel. The seeds spices are cleaned from all impurities by processing the seed through air classifiers, screen graders, de-stoners, gravity separators, fine graders and de-awners. Capacities available from 250 kgs per hour to 5MT per hour. Our company has achieved paramount success in manufacturing and trading of Screen Pre Cleaners and Graders in the market at present. We provide this one to our customers at extremely feasible rates. 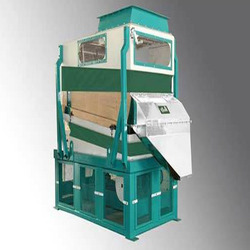 The two-stage screening process and large diameter drum ensures the trash and fines are thoroughly removed from grain. Powered by a 3-horsepower motor, the machine includes an optional removable intake auger and a hand-operated jack for in-field operation. 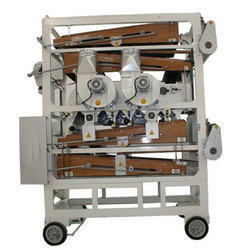 Our company is one of the renowned manufacturers and traders of Screen Graders in the market at present. It is applicable in a number of agricultural and several other industries and is made available from our side at industry leading rates. Working on the principle of differentials of lifting velocity, this machine will most efficiently separate aerodynamically heavier material from aerodynamically lighter material. The lighter material is carried with the controlled air stream to a setting chamber, while the heavier material is discharged out through the air-lock spout. Avity Agrotech And Industries has developed a 4 deck screen grader machine with superior design and technology to specially meet the requirements of precision grading in walnuts, coffee, cocoa and seed spices. The machines produce 5 grades of separations, and can be fitted with a pre aspiration or post aspiration system to serve as pre-cleaners and graders to separate dust and light impurities also. Available in capacities from 1tph to 40 TPH. 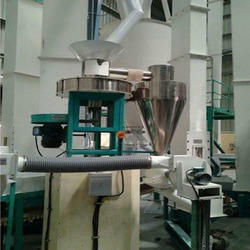 Looking for Seeds Processing Machinery ?